At the time of her death, Emily Bernstein was the principal clarinetist of the Los Angeles Opera. She also played first chair with the Pasadena Symphony under the direction of Jorge Mester. She was a member of the acclaimed contemporary music ensemble, XTET, which has presented numerous world premieres. She performed with many southern California ensembles including the Angeles String Quartet, and the Pacific Trio. 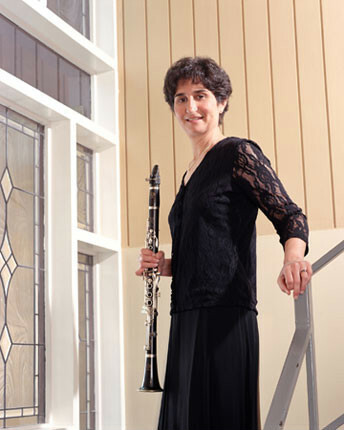 She enjoyed many happy summer seasons in Jacksonville, Oregon as principal clarinetist with the Peter Britt Music and Arts Festival. In addition to her busy performing career, Emily maintained an active private teaching studio and was affiliated with the Mancini Institute. Ms. Bernstein graduated with honors from Stanford University and earned a Master of Music degree from the Eastman School of Music. Ms. Bernstein made frequent appearances as a soloist and chamber musician throughout the west and recorded for the Delos, Phillips, and Sony Classics labels. She was an active studio musician and performed on hundreds of motion picture and television scores including, Catch Me If You Can, Pirates of the Caribbean, Sea Biscuit, and JAG. She was featured in the John Williams score for the movie The Terminal. An article in the La Cañada Valley Sun reported that after Emily recorded the clarinet solo for “The Terminal,” director Steven Spielberg – a former clarinetist himself – insisted that Bernstein’s name appear in the film’s end credits, although traditionally individual musicians performing in studio orchestras remain anonymous.